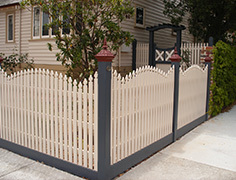 Our range of picket styles is the largest in Australia, covering both traditional and less common profiles. Working with Australian hardwoods, sourced from timber mills that follow sound forest management practices, we also cut cypress pine pickets as a slightly less expensive alternative. Old Malvern Pickets considers the impact of logging timber in forests and how it effects our environment. We only source Australian hardwoods, sourced from timber mills that follow sound forest management practices. ©2018 Old Malvern Pickets Pty Ltd Site by: 109 Design. All Rights Reserved.